I want to talk a little bit about Marvin Pipkin. When the World War I veteran returned to civilian life and joined General Electric (GE) in 1919, he was assigned the task of creating a lightbulb that was frosted on the inside. Unbeknownst to Pipkin, this assignment was a joke, a prank played on GE’s new hires. Interior frosting was widely considered impossible. Pipkin, however, set about as if it were possible. By 1925, he had cracked the case and actually produced an inside-frosted lightbulb that did not easily break, as so many other attempts before his had. Pipkin’s story offers an example of the importance of challenging assumptions and received wisdom. We all make assumptions. It’s a natural response to the vast array of information our brains have to process every second of the day. Our assumptions help us think faster — but they are often invisible to us, making it hard to rethink them when necessary. The business obituaries are littered with examples of companies that did not challenge their assumptions. For example, Nokia shot down a full-screen phone concept years before the iPhone was released, thinking it would be too much of a disruption to bring to market. A similar fate befell Kodak: One of its engineers created a digital camera all the way back in 1975, but the company was hesitant to move forward with it, worried that digital cameras would destroy the film business that had netted Kodak so much money. It should be clear from these stories that successful innovation requires a challenging of assumptions — but challenging assumptions is much easier said than done. What can companies do to encourage this questioning and avoid becoming yet another tombstone in the corporate graveyard? Diversity is a key driver of innovation. People with different experiences can bring different assumptions — and therefore different ways of thinking — to the table, helping one another question their own ideas. “Diversity” includes a wide range of demographic information: gender, race, sexual orientation, age, socioeconomic status, full-time or contingent, etc. This is why making hires based on “culture fit” can be detrimental to innovation. Often, “culture fit” is just shorthand for “people who think like me,” when really you want the exact opposite. One way to bring more diversity to the table at your company is to institute a blind recruiting process. The candidate remains as anonymous as possible, allowing the team to judge applicants based solely on their merits and qualifications. By emphasizing psychometric profiles over shared backgrounds and interests, your organization can bring a more diverse range of talent into the company, which is critical for innovation. However, as mentioned above, even thinking to challenge your assumptions in the first place is a major step. This is why it is important to equip yourself and your employees with strategies for doing so. 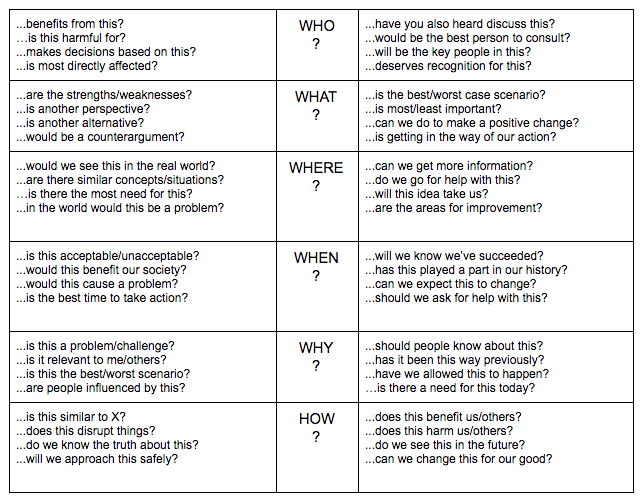 For example, one simple way to do this is to reframe statements as questions. A hotelier may change the statement “Hotels have rooms” to “Why do hotels have rooms?” That, in turn, could lead to a question like “Do hotels have to have rooms?” We can all think of a company currently disrupting the hospitality industry without owning a single room. As I touched on when describing diversity earlier, it is important to get outside perspectives. To build a culture of challenging assumptions, you must make it a regular practice to get people who would typically fall outside the decision-making process involved in that process. A tactic I use and encourage my team to use as well is to say, “I want to challenge that assumption” when I feel like someone is making an assumption.” Junior employees may not always feel comfortable or confident speaking up in this way, which is why it is my role as a leader to demonstrate the behavior myself. This signals to them that challenging others’ assumptions is not only allowed, but encouraged. It’s easy to fall into the trap of thinking that just because we’ve made the right decisions for the past five years, we’ll continue to make the right decisions for the next five. However, remember Nokia: For years it looked like they had made the right call. In fact, if you look at the Fortune 500 companies from 1955, only 60 remain as of 2017. That means 88 percent of the world’s top companies made the wrong decision at some point. Challenging your assumptions is essential if you are to succeed in an increasingly uncertain and disruptive environment.